With the increased use of non-linear devices on electrical systems harmonics are becoming an increasing problem for system designers with none sinusoidal fundamental frequencies and interrelated neutral currents. Harmonics present a particular problem for shunt capacitors where capacitor bank impedance is proportionate to the ratio of harmonic frequency(s) compared with fundamental frequency. One solution to this problem is the installation of passive harmonic filters. The passive harmonic filter resistance in conjunction with inductances and capacitors are the main components of a passive harmonic filter. Passive harmonic filters lower problems with resonance deriving from system switching and improve system stability power factor and reduce I2R losses. 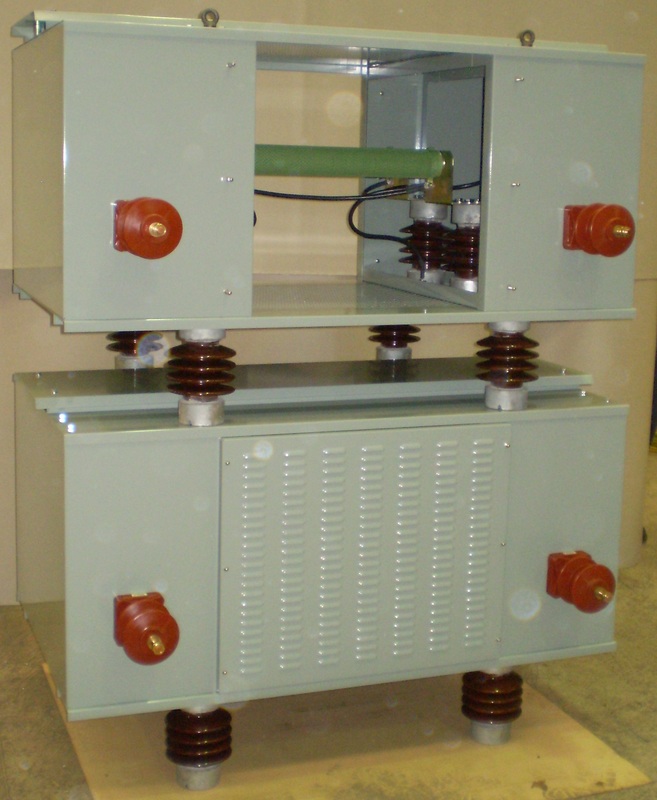 OHMIC RESISTORS designs, manufactures and tests harmonic resistor filter resistances for medium and high voltage networks in accordance with applicable IEC and IEEE standards to guarantee their performance. They can be supplied for indoor or outdoor location with enclosures to suit specific environmental conditions. The active steel used in the harmonic filter resistors provides for excellent durability of the harmonic filter resistance grid and a low thermal coefficient of resistivity. Characteristics are dictated by filter design inclusive of fundamental frequency and harmonic(s) to be filtered. The inductance of the harmonic filter resistance forms part of the filter design and with where appropriate low inductance designs with punched plates are utilized.